Tomorrow is Christmas Eve, and we are all getting ready for one of the more… mystical nights of the year, when the bright lights and warm spirit of Christmas converge in our homes for carols, eggnog, holiday movies and mince pies. However, if you’re still shopping for Christmas, we’re happy to make a suggestion, as we’re in the twenty-third day of our Interiors Advent Calendar—and we can’t overlook the home fragrances, can we? We’re looking at Acqua dell’Elba this time—the entire fragrance line is simply to die for, but the home diffuser is what we’re focused on. What’s the perfect interior without the fine scent of the sea tickling our senses? The Isola d’Elba home fragrance diffuser comes with the promise of summer and the ocean breeze, a delightful antithesis to the crisp winter mornings. Following along the lines of the Acqua dell’Elba’s brand ethos, Isola d’Elba is a vivid homage paid to the wonderful Elba Island, a little slice of paradise in the Mediterranean Sea, part of Tuscany’s panoramic archipelago. Defined by blue skies and turquoise waters, sprawling palm trees and a plethora of stunning beaches, Elba is one of the places that spring to mind whenever we’re looking to escape the greyish mundane, the noise and the traffic. 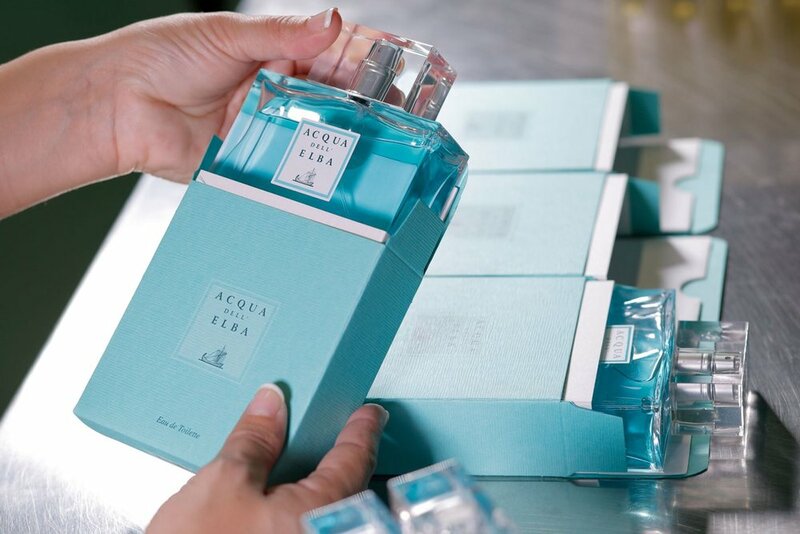 And that is exactly what the eponymous home fragrance does—though in smaller quantities; it helps one escape from the enclosure of the city and brings forth the promise of a loving sea.